The relative amounts of EPA and DHA in your fish oil supplement can make a difference in terms of its effects on your LDL. Taking a fish oil supplement especially formulated to be high in EPA but low in DHA might be the better choice if you are not already on a statin, or if you want to get off statins while keeping your LDL and triglycerides low. If you are taking a fish oil supplement to lower LDL naturally, you might be surprised to know that the relative amounts of EPA and DHA in your supplement can make a difference in terms of its effects on your LDL. Taking a fish oil supplement especially formulated to be high in EPA but low in DHA might be the better choice if you are not already on a statin, or if you want to get off statins while keeping your LDL and triglycerides low. First, let’s back up and quickly review some basics on essential fatty acids, fish oil, and EPA/DHA. The essential fatty acids EPA and DHA (eicosapentaenoic acid and docosahexaenoic acid) are the most important omega-3 fatty acids for health. EPA and DHA are considered “essential fatty acids” because humans must get them (or ALA, their precursor) from food or supplementation. They are designated “omega-3 fatty acids” because of their chemical structure (a double bond at the third carbon atom). EPA and DHA are found directly in oily fish like salmon and mackerel. They can also be made in the body by converting ALA (alpha-linolenic acid), which is an essential omega-3 fat found in vegetable and seed oils like flax, to EPA and DHA. Since converting ALA to EPA and DHA is a rather inefficient process, getting these incredibly important fats from either eating plenty of oily fish or taking EPA/DHA supplements is recommended. How do EPA and DHA benefit heart health? There is now “strong evidence,” according to Harvard researchers and many others, that EPA and DHA reduce the risk of cardiac death. Studies have found that EPA and DHA can lower your chances of suffering from a heart-related problem, like a heart attack, by 18%. EPA and DHA lower your risk of getting heart disease or having a heart attack or stroke in part by improving your lipids, although they do not lower LDL naturally. Instead, their primary effect on lipids is to reduce triglycerides naturally. The triglyceride-lowering effect of EPA and DHA is now indisputable, based on many large, long-term, well-conducted studies. What’s responsible for the LDL increase, EPA or DHA (or both)? Is the LDL increase by DHA enough worry about? Many patients who are prescribed fish oil to reduce triglycerides naturally are already on a statin to lower their total and LDL cholesterol. For them, the fact that fish oil increases LDL isn’t considered much of an issue, because a high enough dose of a powerful statin can counteract that increase. But there has been concern for those who are not taking statins, either because of personal preference or issues with side effects. In these individuals, especially if they have high or borderline-high LDL, the LDL-increasing effects of DHA could be as much as 16%, resulting in increased risk of developing cardiovascular disease. This is where taking a fish oil supplement formulated to contain very high amounts of EPA and low amounts of DHA may be especially useful. Not everyone at risk for cardiovascular disease needs a fish oil supplement highly concentrated in EPA. 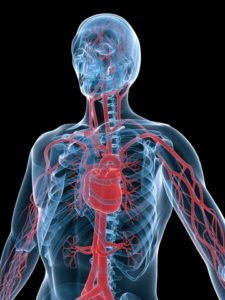 As discussed above, both EPA and DHA combined have been shown to significantly benefit heart and vascular health. Plus, there are many additional ways to lower LDL naturally while still taking fish oil high in both EPA and DHA. But if you’ve been taking fish oil and have noticed a negative effect on your LDL, consider trying a high-EPA fish oil for your cholesterol and cardiovascular health. Anyone who has spent time perusing the seemingly endless brands of fish oil in their local store already knows EPA and DHA amounts vary tremendously between products. Always look for the specific amounts of EPA and DHA listed in the ingredients section of the label. If you decide to try a fish oil highly concentrated in EPA to improve your lipids without raising LDL, aim for a total daily dose of at least 1800 mg EPA, based on evidence from clinical studies. 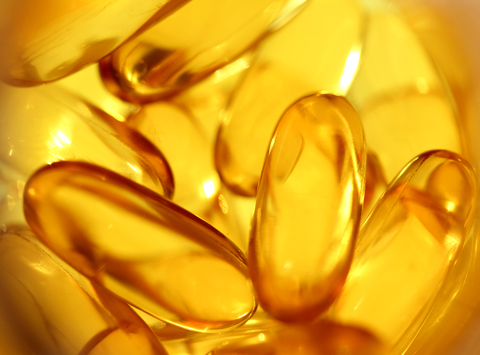 Many high quality fish oil companies now selling fish oil capsules with enhanced amounts of EPA. Mozaffarian D, Wu JH. Omega-3 fatty acids and cardiovascular disease: effects on risk factors, molecular pathways, and clinical events. J Am Coll Cardiol. 2011 Nov 8;58(20):2047-67. Delgado-Lista J, Perez-Martinez P, Lopez-Miranda J, Perez-Jimenez F. Long chain omega-3 fatty acids and cardiovascular disease: a systematic review. Br J Nutr. 2012 Jun;107 Suppl 2:S201-13. Wei MY, Jacobson TA. Effects of eicosapentaenoic acid versus docosahexaenoic acid on serum lipids: a systematic review and meta-analysis. Curr Atheroscler Rep. 2011 Dec;13(6):474-83. Jacobson TA, Glickstein SB, Rowe JD, Soni PN. Effects of eicosapentaenoic acid and docosahexaenoic acid on low-density lipoprotein cholesterol and other lipids: a review. J Clin Lipidol. 2012 Jan-Feb;6(1):5-18. O’Riordin M. Data suggest DHA and EPA have differential effects on LDL-cholesterol levels. Heartwire. 2011 May 22. Bernstein AM, Ding EL, Willett WC, Rimm EB. A meta-analysis shows that docosahexaenoic acid from algal oil reduces serum triglycerides and increases HDL-cholesterol and LDL-cholesterol in persons without coronary heart disease. J Nutr. 2012 Jan;142(1):99-104. Yokoyama M, Origasa H, Matsuzaki M, et al; Japan EPA lipid intervention study (JELIS) Investigators. Effects of eicosapentaenoic acid on major coronary events in hypercholesterolaemic patients (JELIS): a randomised open-label, blinded endpoint analysis. Lancet. 2007 Mar 31;369(9567):1090-8. This post originally appeared in 2012 and has been updated. a heart attack, alpha linolenic acid, cardiovascular, cardiovascular disease, cardiovascular health, cholesterol, cholesterol levels, coronary, coronary heart disease, decrease triglycerides, eicosapentaenoic acid, fish oil, fish oil supplements, food, having a heart attack, hdl, hdl cholesterol, health, heart attack, heart disease, heart health, high ldl, ldl, ldl cholesterol, ldl cholesterol levels, lipoprotein, long chain omega 3 fatty acids, low density lipoprotein, lower ldl, lower ldl naturally, omega 3, omega 3 fatty acids, reduce triglycerides, reduce triglycerides naturally, side effects, statins, stroke, supplement, supplements, to reduce triglycerides naturally, triglyceride, triglyceride 2, Triglycerides, vascular health, ways to lower ldl. I attempted to down load for free as it states a copy of info on dangers on taking fish oils and heart attacks but each time I created a password it declined me. What kind of password is considered acceptable and how many numbers and letters & characters are allowed? Please send me an email reply, I would appreciate it. Thank you. Hi another side effect of omega 3is decrease platelet of course with dosage of 2or 3gr8. My name is Kathleen Jade and I am the original author of this article, which was written in 2012. I did not update it in 2017, as implied above (someone else may have “updated” it, but it was not me and I was not contacted). Nor am I an MD (I am an ND in the state of Washington). I have asked University Health News to correct my title and to stop implying that I updated the content, but they have not responded to my request.